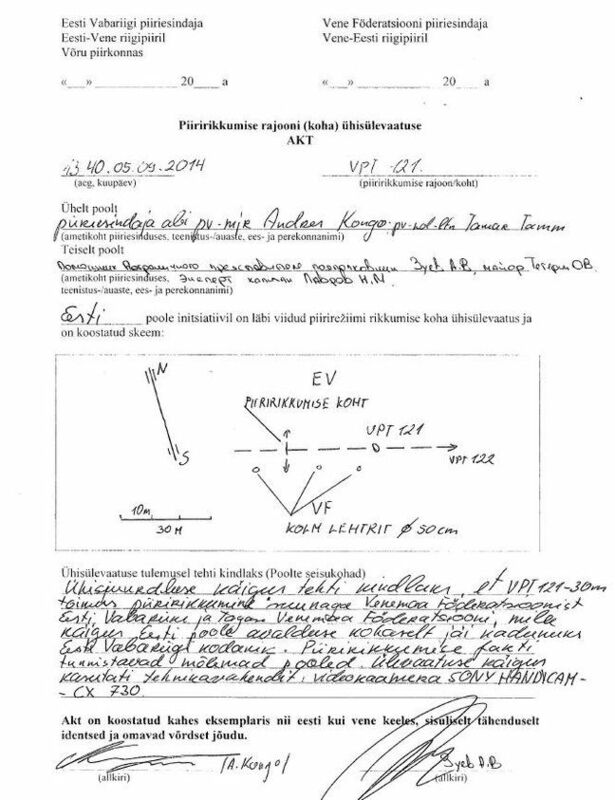 The Estonian Police and Boarder Guard on Wednesday published the protocol that confirms a border violation by Russia during the abduction of the Estonian security officer Eston Kohver on 5 September. 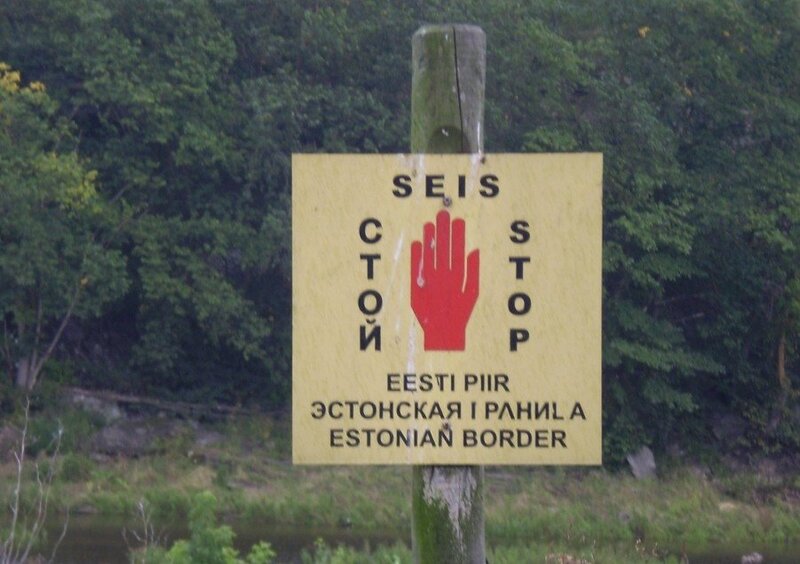 In the protocol, both Estonian and Russian border guards confirm the border violation took place on the Estonian side. Estonia has maintained since the start of the dispute that the Estonian officer Eston Kohver was abducted in the Estonian territory. Russia later distanced itself from the protocol, instead accusing the Estonian officer of being a spy on the Russian territory. On 5 September 2014, operatives of the Russian Federal Security Service (FSB) illegally entered the territory of the Republic of Estonia, a member of NATO and the European Union, and kidnapped by force an officer of the Internal Security Service (ISS) of Estonia. On 19 August 2015, Pskov court in Russia sentenced Eston Kohver to 15 years in prison, for espionage and for illegally crossing into Russia and for carrying an illegal firearm. 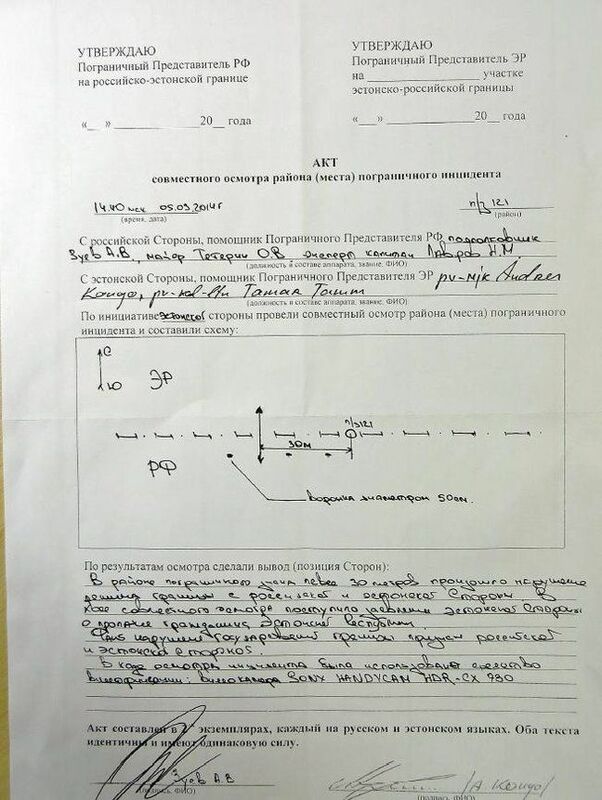 But in the protocol from 5 September 2014, both Estonian and Russian border guards confirmed the border violation took place on the Estonian side – it was issued in both Estonian and Russian and signed by both Estonian and Russian border guards. Protocols: Estonian Police and Border Guard. Cover photo: Estonian border marking near Narva. Photo from Wikipedia by Kulmalukko, licensed under Creative Commons, edited for size and format.